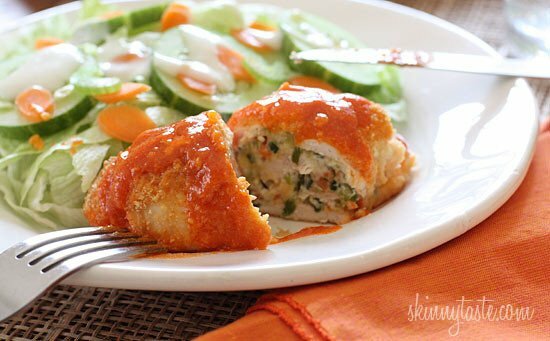 Buffalo Chicken breast stuffed with cheese, shredded carrots and minced celery, then rolled, breaded, baked and drizzled with hot sauce. Sound enticing? It should be, this is good stuff! 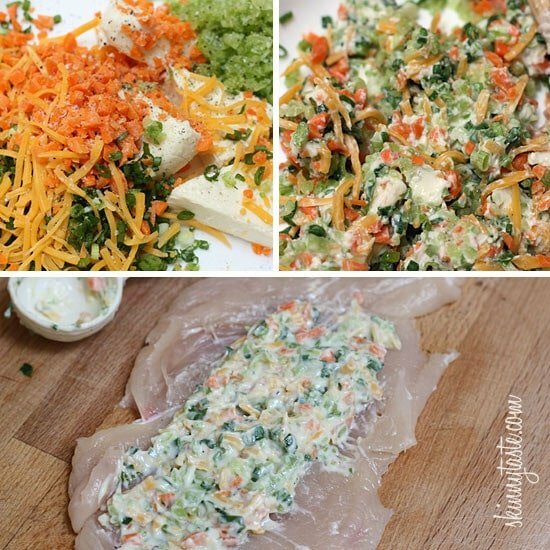 Stuffed chicken breasts are so easy to make and the combinations are endless. A few of my favorites are Cheesy Jalapeño Popper Stuffed Chicken, Zucchini and Mozzarella Stuffed Chicken, and Spinach Stuffed Chicken Alla Parmigiano. This recipe was so kindly shared with me from one of my subscribers. I love it when my fans share their recipe creations with me to share with all of you, especially when it’s something really good! 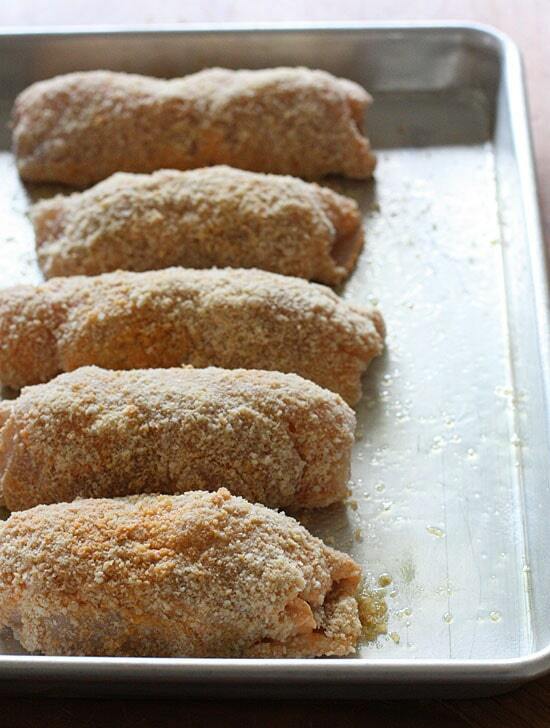 If you know how much I love stuffed chicken breast, you know I was all over this! I served this with a crisp salad of lettuce, cucumbers, carrots and celery drizzled with homemade skinny blue cheese dressing. It was the perfect compliment and a wonderful meal. Lightly spray a baking dish with oil. In one bowl make a breading station out of crushed ritz crumbs. 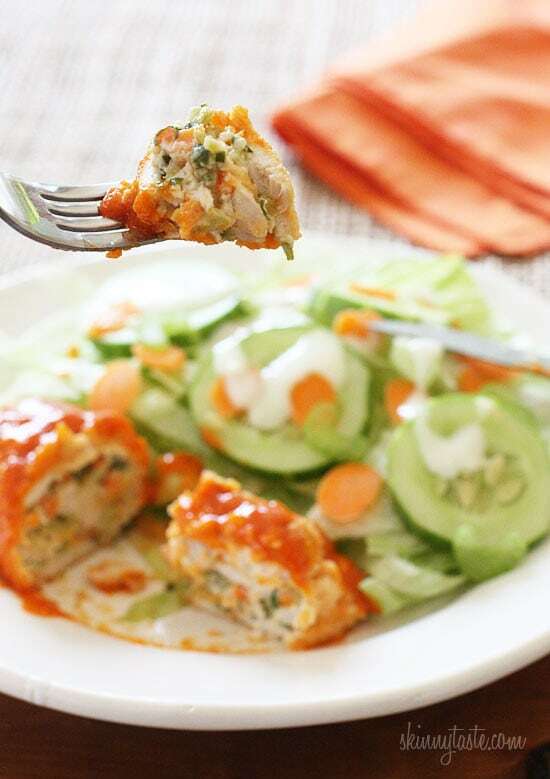 In another bowl combine mayonnaise, 1 tablespoon of hot sauce, and lemon juice as a dredging mixture. Lightly spray top of chicken with cooking spray. 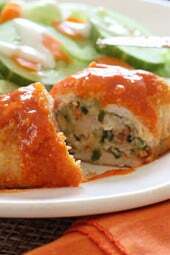 While the chicken cooks, melt butter and mix with the remaining hot sauce and garlic powder. 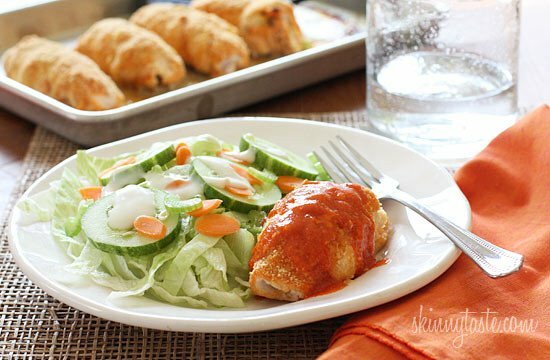 Drizzle buffalo sauce over finished chicken breast and serve.